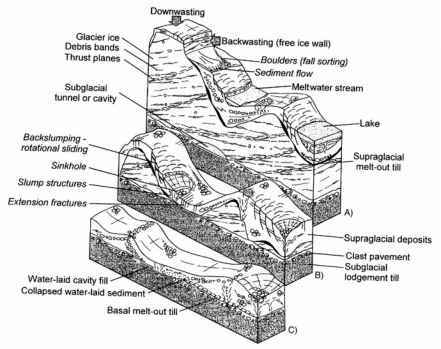 2 Diadromous: migrating between fresh and salt water. they are based and are therefore vulnerable to changes in primary production and how this production is transferred through the aquatic food chain (climate-induced change in production in natural aquatic ecosystems is dealt with in Chapter 4). For aquatic systems we still lack the kind of experimental data and models used to predict agricultural crop yields under different climate scenarios; therefore, it is not possible to provide quantitative predictions such as are available for other sectors. The principal conclusions concerning aquaculture and fisheries set out in the TAR (see Section 5.1.3) remain valid and important. The negative impacts of climate change which the TAR identified, particularly on aquaculture and freshwater fisheries, include (i) stress due to increased temperature and oxygen demand and increased acidity (lower pH); (ii) uncertain future water supply; (iii) extreme weather events; (iv) increased frequency of disease and toxic events; (v) sea level rise and conflict of interest with coastal defence needs; and (vi) uncertain future supply of fishmeal and oils from capture fisheries. Positive impacts include increased growth rates and food conversion efficiencies, increased length of growing season, range expansion and use of new areas due to decrease in ice cover. Information from experimental, observational and modelling studies conducted since the TAR supports these conclusions and provides more detail, especially concerning regional effects. 5.4.6.2 What is new since the TAR? New Knowledge: Effects of temperature on fish growth. One experimental study showed positive effects for rainbow trout (Oncorhyncus mykiss) on appetite, growth, protein synthesis and oxygen consumption with a 2°C temperature increase in winter, but negative effects with the same increase in summer. Thus, temperature increases may cause seasonal increases in growth, but also risks to fish populations at the upper end of their thermal tolerance zone. Increasing temperature interacts with other global changes, including declining pH and increasing nitrogen and ammonia, to increase metabolic costs. The consequences of these interactions are speculative and complex (Morgan et al., 2001). New Knowledge: Current and future direct effects. Direct effects of increasing temperature on marine and freshwater ecosystems are already evident, with rapid poleward shifts in regions, such as the north-east Atlantic, where temperature change has been rapid (see Chapter 1). Further changes in distribution and production are expected due to continuing warming and freshening of the Arctic (ACIA, 2005; Drinkwater, 2005). Local extinctions are occurring at the edges of current ranges, particularly in freshwater and diadromous species2, e.g., salmon (Friedland et al., 2003) and sturgeon (Reynolds et al., 2005). New Knowledge: Current and future effects via the food chain. Coupled simulations, using six different models to determine the ocean biological response to climate warming between the beginning of the industrial revolution and 2050 (Sarmiento et al., 2004), showed global increases in primary production of 0.7 to 8.1%, but with large regional differences, which are described in Chapter 4. Palaeological evidence and simulation modelling show North Atlantic plankton biomass declining by 50% over a long time-scale during periods of reduced Meridional Overturning Circulation (Schmittner, 2005). Such studies are speculative, but an essential step in gaining better understanding. The observations and model evidence cited above provide grounds for concern that aquatic production, including fisheries production, will suffer regional and possibly global decline and that this has already begun. New Knowledge: Current and future effects of spread of pathogens. Climate change has been implicated in mass mortalities of many aquatic species, including plants, fish, corals and mammals, but lack of standard epidemiological data and information on pathogens generally makes it difficult to attribute causes (Harvell et al., 1999) (see Box 5.4). An exception is the northward spread of two protozoan parasites (Perkinsus marinus and Haplosporidium nelsoni) from the Gulf of Mexico to Delaware Bay and further north, where they have caused mass mortalities of Eastern oysters (Crassostrea virginica). Winter temperatures consistently lower than 3°C limit the development of the multinucleated sphere X (MSX) disease caused by P. marinus (Hofmann et al., 2001). The poleward spread of this and other pathogens is expected to continue as winter temperatures warm. A recent modelling study predicts that, for the fisheries sector, climate change will have the greatest impact on the economies of central and northern Asian countries, the western Sahel and coastal tropical regions of South America (Allison et al., 2005), as well as some small and medium-sized island states (Aaheim and Sygna, 2000). Indirect economic impacts of climate change will depend on the extent to which the local economies are able to adapt to new conditions in terms of labour and capital mobility. Change in natural fisheries production is often compounded by decreased harvesting capacity and reduced physical access to markets (Allison et al., 2005). Most of the large global marine-capture fisheries are affected by regional climate variability. Recruitment of the two tropical species of tuna (skipjack and yellowfin) and the sub-tropical albacore (Thunnus alalunga) in the Pacific is related to regimes in the major climate indices, ENSO and the Pacific Decadal Oscillation (Lehodey et al., 2003). Large-scale distribution of skipjack tuna in the western equatorial Pacific warm pool can also be predicted from a model that incorporates changes in ENSO (Lehodey, 2001). ENSO events, which are defined by the appearance and persistence of anomalously warm water in the coastal and equatorial ocean off Peru and Ecuador for periods of 6 to 18 months, have adverse effects on Peruvian anchovy production in the eastern Pacific (Jacobson et al., 2001). However, longer term, decadal anomalies appear to have greater long-term consequences for the food-web than the short periods of nutrient depletion during ENSO events (Barber, 2001). Models relating interannual variability, decadal (regional) variability and global climate change must be improved in order to make better use of information on climate change in planning management adaptations. North Pacific ecosystems are characterised by 'regime shifts' (fairly abrupt changes in both physics and biology persisting for up to a decade). These changes have major consequences for the productivity and species composition of fisheries resources in the region (King, 2005). Major changes in Atlantic ecosystems can also be related to regional climate indicators, in particular the NAO (Drinkwater et al., 2003; see also Chapter 1 on north-east Atlantic plankton, fish distribution and production). Production of fish stocks, such as cod in European waters, has been adversely affected since the 1960s by the positive trend in the NAO. Recruitment is more sensitive to climate variability when spawning biomass and population structure are reduced (Brander, 2005). In order to reduce sensitivity to climate, stocks may need to be maintained at higher levels. Climate-related reductions in production cause fish stocks to decline at previously sustainable levels of fishing; therefore the effects of climate must be correctly attributed and taken into account in fisheries management.